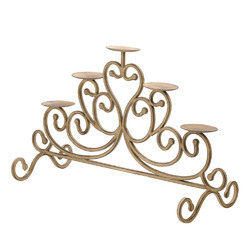 Set the night aglow with help from this romantically rustic candelabra. 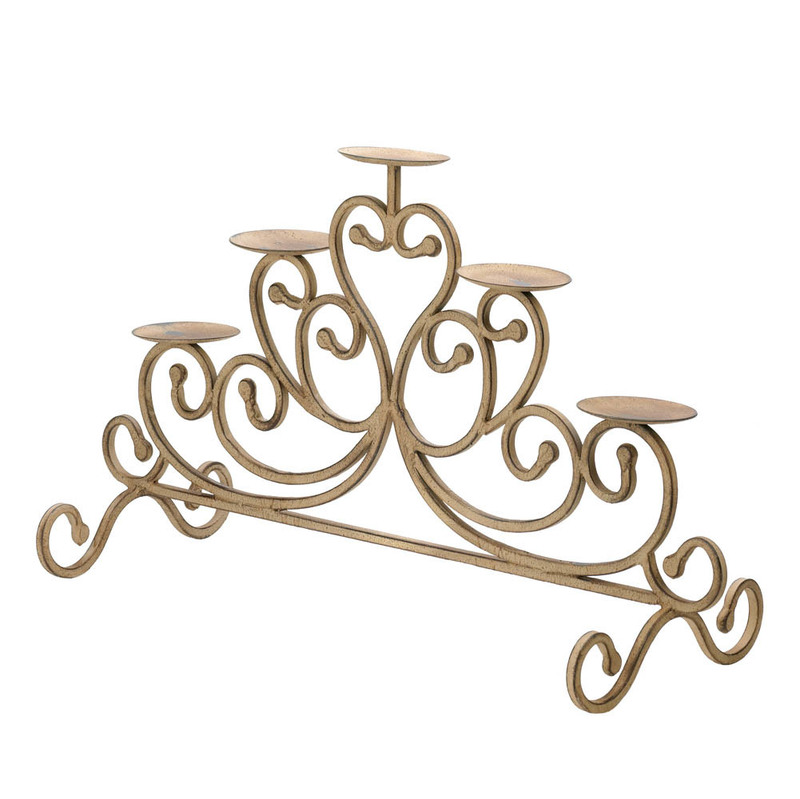 Five candle seats are perched on top of scrolling wrought iron flourishes, finished with antiqued paint to look like an old-world treasure. Place it on your mantel or tabletop and light the candles of your choice for spectacular shine! Item weight: 3 lbs. 24 5/8" x 9 1/8" x 14 1/4" high. Cast Iron. Candles not included. UPC: 849179016487.